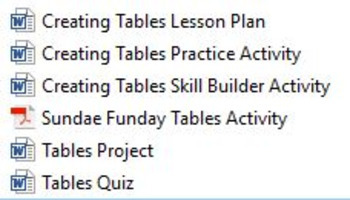 This lesson is designed to provide instruction in creating tables in a document. Tables are an important aspect in organizing information. Following this lesson, students should be able to construct a table, formulate and organize their ideas in a cohesive, logical manner. Students will plan, create, and modify these documents using features learned in this unit.